In the house there are many everyday objects made of wood, a material that in time thanks to the evolution has changed in assembly techniques and composition but remained constantly a widely used material. 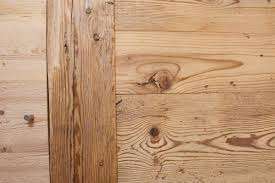 But the wood is in need of care, requires some maintenance and that can occur due to age or other case requires a repair. It is a durable material such as susceptible to faulty maintenance or workmanship, the use of wrong or unsuitable chemical techniques can cause irreparable damage to the furniture or other wooden elements forcing then to significant repair costs or even having repurchase. As already repeatedly said the wood is alive, for this must be cared for regularly, nurtured and preserved by some misbehavior. To cite a few examples of possible intervention: the hinges and closures of a mobile have a predetermined life cycle, after which it is required to replace obsolete components, the chairs are a very mechanically stressed structure and often lose their adhesive properties sticky, so you need to restore the sealing of the joints to prevent breakage of the pegs of wood, interior doors of a house or an apartment are constantly used and it often happens that they lose the original freshness of the finish or present some difficulty in opening and closure. Such interventions do not require conformity of any constraint survivor, invasiveness or need minimal intervention, these specificities concerning the restoration work.